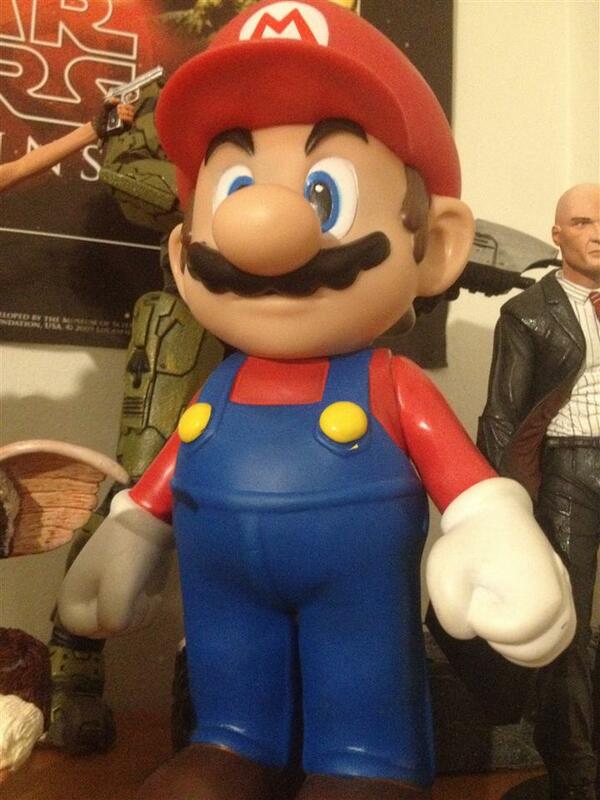 Goldie Marketing 9 Inch Mario collected in Figure Collection by Tayler Rowe - Collected It! These figures produced from Goldie Marketing are very common and lets face it, who wouldn't want a real life Mario sitting on their shelf? The figures articulation is very limited but its not like I was ever going to put him in some crazy position, because that's just not Mario. The vibrant blues and reds make him pop right off the shelf and is clearly visible from anywhere if positioned at the back of many figures. Altogether a great figure for an extremely reasonable price.